The weather this week here at Lake Del Valle has been beautiful with temperatures cold in the mornings and rise to about the mid 60's during the day. The surface temperature this week has dropped down one degree to 59. 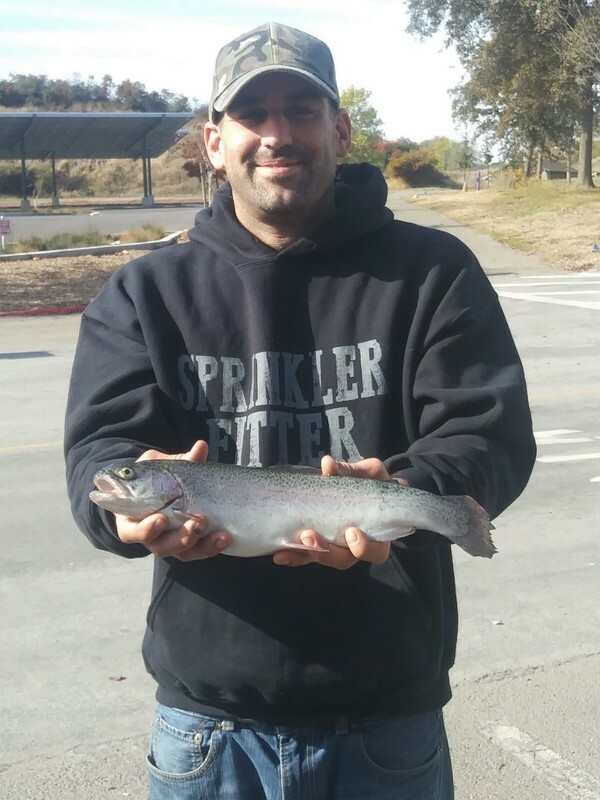 The hot bite this week has been trout with many anglers hooking up especially with our recent plant on 11/16/17 of 1000 LBS. For trout, most anglers have been using either power worms or power bait. I would also recommend using either mice tails, small kastmasters or spinners. Most anglers have been fishing on the east beach shoreline or walking down the dog run trail. For stripers, most anglers have been using top water lures in the early morning and late evenings. Stripers have started chasing trout, so I also recommend using big trout look alike lures. Catfish have slowed down a little with the water level dropping so drastically. 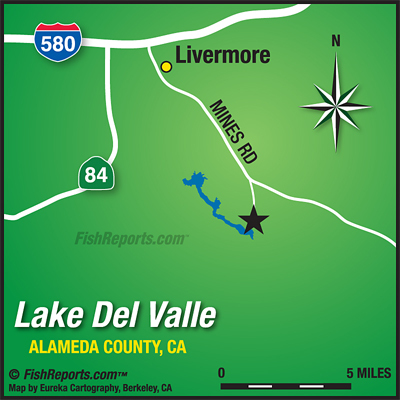 Most anglers are still catching them at the dam and in the upper narrows on either anchovies or cut sardines. 1 also recommend using nightcrawlers.